Canada, aptly called an immigrant’s dream destination is filled with attractions to lure people of all countries, regions and ethnicity. Whether it is the cool climate, the easy-to-adapt lifestyle or the scenic beauty of this country, people are driven to come to this place to have a taste of its splendid culture and traditions. Each year, thousands of immigrants migrate to Canada in order to settle and work here. 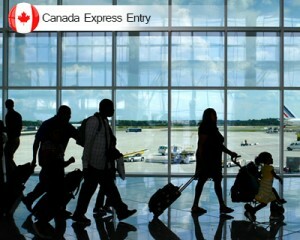 The count was increasing to such great numbers that the Citizenship and Immigration Canada (CIC) had to launch the Express Entry system from 1 January, 2015. A Canadian employer can hire an eligible candidate if there is a dearth of Canadian citizens or permanent residents to fill the job vacancies in the country. If you want to migrate to Canada with this process, just fill out our Enquiry Form, so that our visa expert will get back to you.